Our political climate is all sorts of batshit bonkers right now. We're at the point where even the theme songs from children's shows of our youth can be politically charged in the right context. Enter Walter Sickert covering the Mr. Rogers classic "Won't You Be My Neighbor?" With absolutely no explanation necessary, we all know exactly what is meant by a song we used to sing when we were four. This particular cover is a Walter Sickert solo jam, with just him singing while plunking away at a piano. And it's just as creepy (but somehow turns out beautiful?) as you'd expect. One of the main points of the cover is to highlight that for the entire month of February, any money that Walter Sickert & The Army of Broken Toys earn on their Bandcamp will be donated to ACLU Nationwide. You can listen to "Won't You Be My Neighbor?" below. 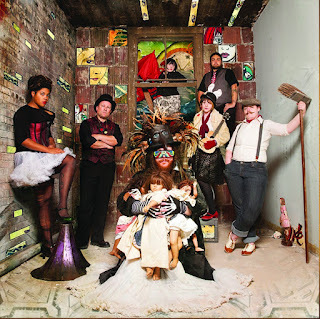 You can find Walter Sickert & The Army of Broken Toys' Bandcamp here.